Wichita, KS (Restaurant News Release) Fast-casual restaurant concept Freddy’s Frozen Custard & Steakburgers announced today its significant achievements in 2018, which include opening 54 new restaurants in key target markets throughout the U.S. and achieving a 15.5 percent increase in company growth. Freddy’s, which was named the Best Franchise to Buy in America by Forbes Magazine, also experienced a surge in franchise development with seven new agreements signed, including deals to develop the first Freddy’s locations in Wisconsin and New Jersey. 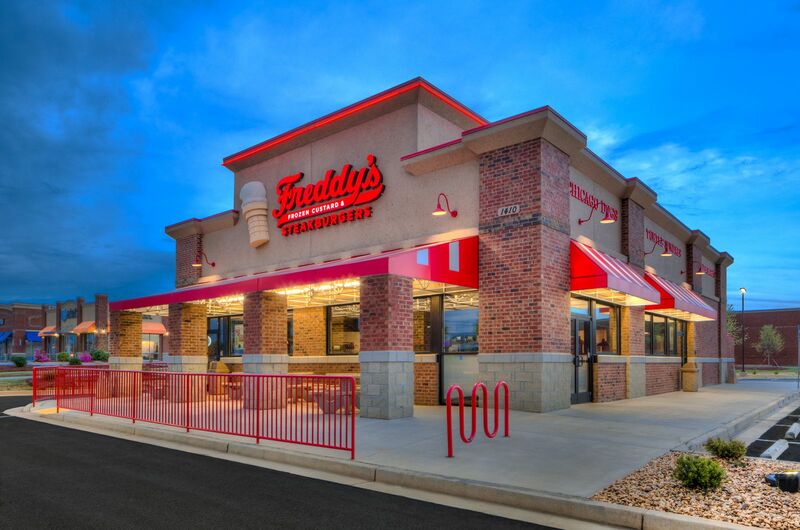 In addition to its ongoing growth in existing markets, Freddy’s continued to grow its presence in new regions throughout 2018, opening its first location in the state of Wyoming. 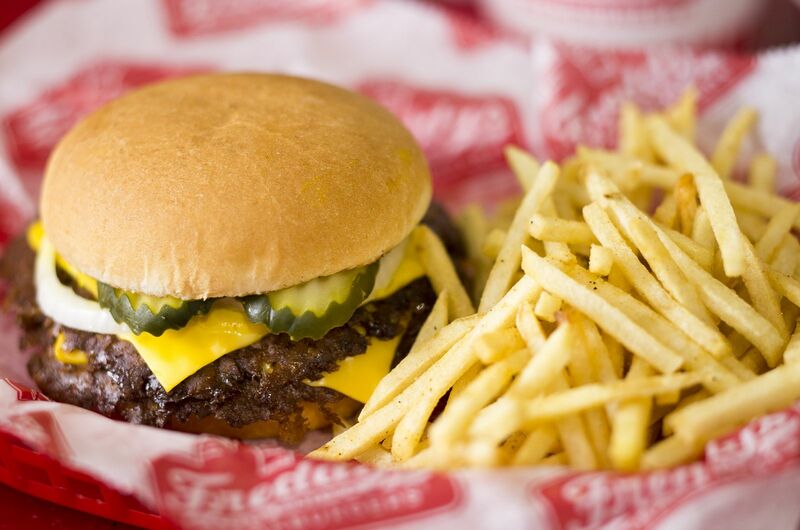 The company also expanded into the nontraditional space for the first time with the opening of new locations at Wichita State University student center and Oklahoma State University football and basketball stadiums, which also marked Freddy’s first operations in a sports arena. This aggressive, nontraditional development will continue into 2019, with the brand’s first international locations slated to open at the Mall of the Emirates and the Dubai Mall later this year. Freddy’s also continued its ongoing innovation in 2018, introducing a smaller restaurant prototype with an updated kitchen design that maintains volume capacity. “At Freddy’s, we prioritize investing in innovation to ensure that our brand is constantly evolving, and our nontraditional growth and new prototypes are a direct reflection of those efforts,” said Scott Redler, co-founder and COO. Franchise opportunities remain in areas across the U.S., including the West Coast, Upper Midwest, Northeast and Florida. For more information about development opportunities, contact Markus Scholler, Vice President of Franchise Development, at 316-719-7850, or visit www.freddysusa.com/franchising. Co-founded in 2002 by Scott Redler and Bill, Randy and Freddy Simon, Freddy’s opened its first location in Wichita, Kansas, offering a unique combination of cooked-to order steakburgers seasoned with Freddy’s Famous Steakburger & Fry Seasoning®, Vienna® Beef hot dogs, shoestring fries paired with Freddy’s Famous Fry Sauce® and frozen custard that is freshly churned throughout the day. Today, more than 300 Freddy’s restaurants serve 31 states across the nation from California to Pennsylvania, Virginia and down the East Coast states to Florida. Freddy’s has been named No. 1 on Forbes Best Franchises to Buy, Franchise Times magazine’s 2018 Fast & Serious top 10, Entrepreneur’s 2018 Franchise 500 top 50, Inc. Magazine’s “Fastest-Growing Private Companies” 2018 list and many other nationwide and local industry awards. 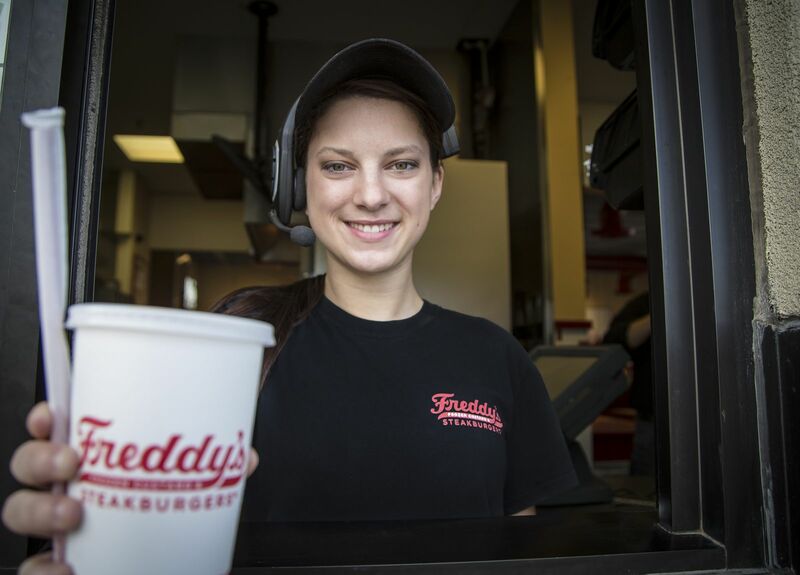 For more on Freddy’s, visit the Newsroom and follow us on Facebook, Twitter and Instagram for the latest news.